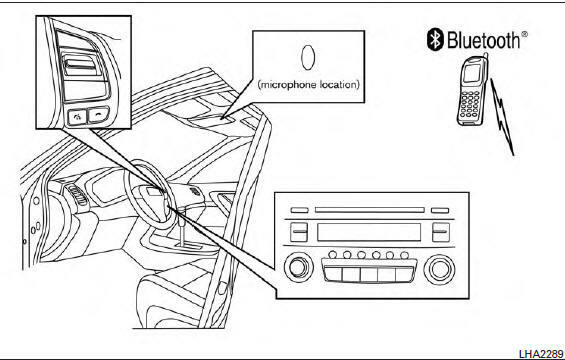 ● Set up the wireless connection between a compatible cellular phone and the in-vehicle phone module before using the hands-free phone system. ● Some Bluetooth® enabled cellular phones may not be recognized or work properly. – Your vehicle is in an area where it is difficult to receive a cellular signal; such as in a tunnel, in an underground parking garage, near a tall building or in a mountainous area.